It is not too much for me to say that Malaysians love to visit Jakel especially when it is festive season. As per the year before, I visited Jakel (Shah Alam) again last weekend just to diversify my options. Why Jakel? The choices are vast, for everyone, and if you are lucky, at a very steep price! And was I lucky because almost all the Jakel Ambassadors were there when I visited and my oh my, did they had a huge sale that day! 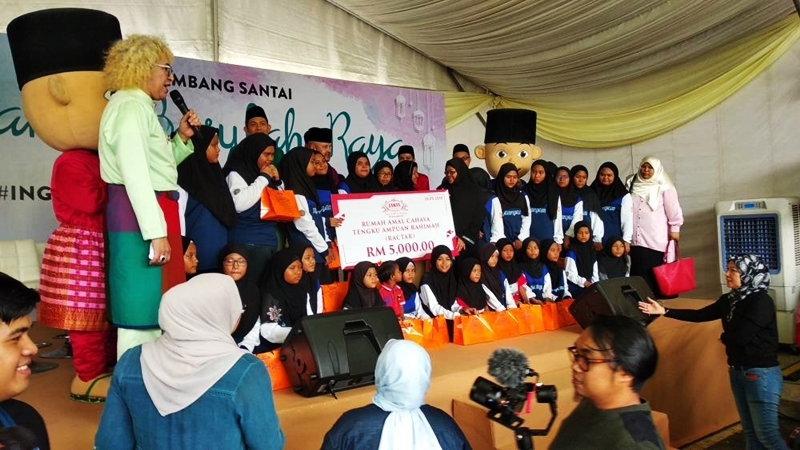 There were Awal Ashaari, Scha Al Yahya and Lara Alana, Hanis Zalikha, Hairul Azreen and Yusuf Iskandar, Nabil Ahmad, Harith Iskander and Nabil Ahmad. Not forgetting the children's idol, Upin and Ipin were there too. So, whenever the ambassadors are there, Jakel just love to have 'Happy Hour' where they sell every collection at a surprisingly pleasant low price. And here is some of the new and pleasant upgrades that have been introduced to this year's collection. Kain Samping Benang that is wearable anytime and anywhere at any occasion and it is also evergreen. 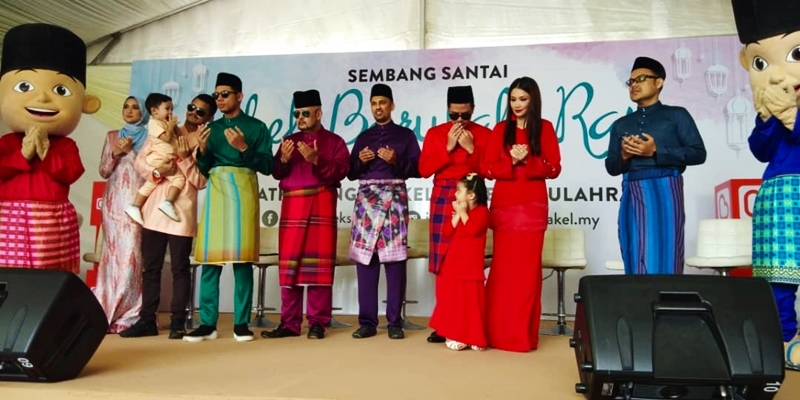 New and exciting colours to the Baju Melayu collections such as Teal Green in Aaron Aziz's, Maroon into Nabil's, Navy Blue into Awal's and Yellow Buttercup into Harith's. The price for the baju melayu collection starts from RM89 per pair and it comes with Kain Samping Benang and buttons. The Kurta collection (Hairul Azreen collection) are now more wudhuk friendly and made of high-quality cotton with buttons on the arms and pockets detailing. As for Ayda Jebat Baju Kurung collections, the fashions are age appropriate for all young ladies to the working executives to be fashionable, presentable and fresh throughout the day with its trendiest beautiful colour selections and printed motives. The kids' collections of Upin Ipin, Lara Alana and Yusuf Iskandar has also been upgraded especially the choice of fabrics being selected for the collections are kids' friendly. Interested in colour-coordinating this Raya? The family collections boast a vast choice of colours to choose from may it be from Schawalara or Hanis, Hairul and Yusuf's collection. Hanis Zalikha's: Versatile and classy are the focus when designing this collection with beads and intricate detailing. Yusuf Iskandar Collection comes with the choice of round neck and collar using cotton as the fabric of choice to ensure the kids are comfortable while wearing them. Jakel has upped their game when they collaborate with Boost this year to enable their fans to transact cashless and mobile. By downloading and paying for their hauls using Boost, the fans will get points which later could be used for more purchase, at Jakel and elsewhere too. So, why wait till the last minute to shop at Jakel? 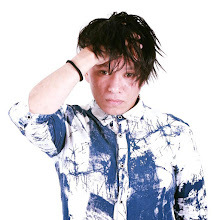 Shop now and get more to choose from and who knows, you will stumble upon one of the many Happy Hours that Jakel love to have. Be there, or be square. Jakel, Barulah Raya. Memang banyak promo kat Jakel Shah Alam je ke? Nak juga cuba beraya dengan Jakel tahun ni. 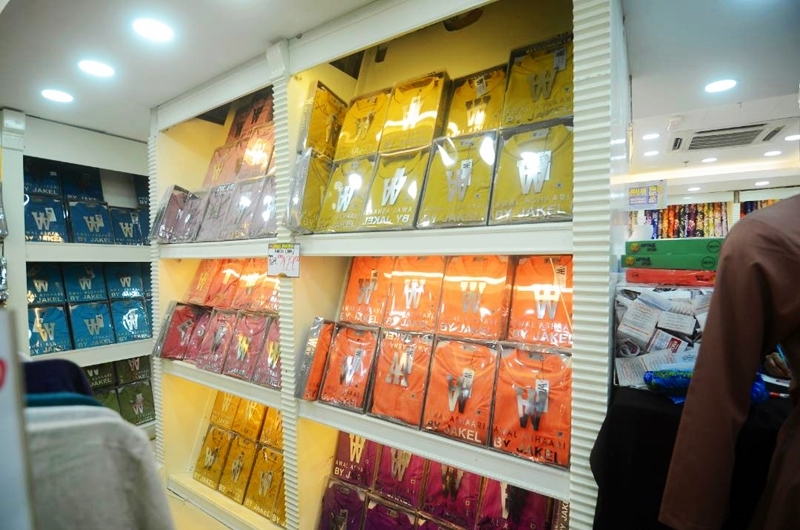 Jakel is like one stop place for shoppers to shop for Raya clothes. And the price really mark down a lot. Variety of choices and price is . Jakel memang tiap- tiap tahun buat promo raya macam ni kan...bagus marketing dengan hire artis2 yang mempunyai ramai pengikut untuk kempen ni..pilihan banyak, fesyen terkini dan material kain pun bagus kan..
Meriah betul majlis. Jakel memang rajin buat sale raya macam ni. Koleksi baju-baju pon untuk dewasa lelaki, perempuan dan kanak-kanak pon semua cantik-cantik. Nak terjah Jakel lah nanti. Jakel ni memang pilihan utama rakyat Malaysia . Rekaan Yang pelbagai dengan warna Yang sangat banyak. Harga pun berpatutan dan mampu milik . jakel ni banyak pilihan. Apa pun ada. Time pergi situ survey baju raya juga. kemain ko membeli belah ek, dapat ke baju idaman hati tuh? Jakel ni memang brand yang famous untuk baju melayu.. selalu dengar brand ni... banyak nya collection yang lawa lawa belaka.. good untuk raya! Bila raya je, mesti teringat Jakel. Kebanyakan baju raya semuanya beli kain di Jakel. Bila beli banyak Maka diskaun yg diberikan pun best. Jakel has been around for ages, I think all Malaysians confirm tau what is this, it's good to see they are upgrading the place! Best tengok event raya di Jakel meriah giler macam tu. 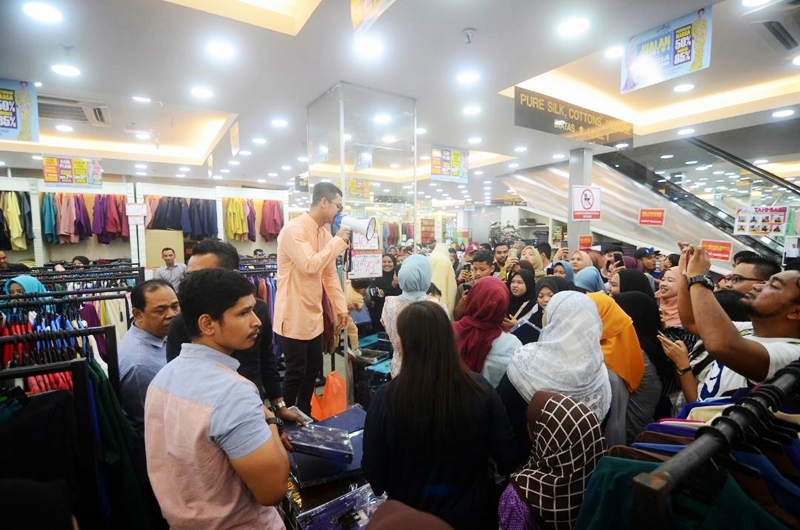 Mesti seronok shopping raya sambil dapat jumpa artis. Anak saudara cik tom memang minat sangat baju raya upin ipin tu. setiap tahun raya mesti beli kat jakel. serba lengkap keperluan dari A till z.
I saw so many people sharing this exciting sales and event in their social media! Did you manage to shop some baju raya for yourself? It's so happening and so many good deals to shop. 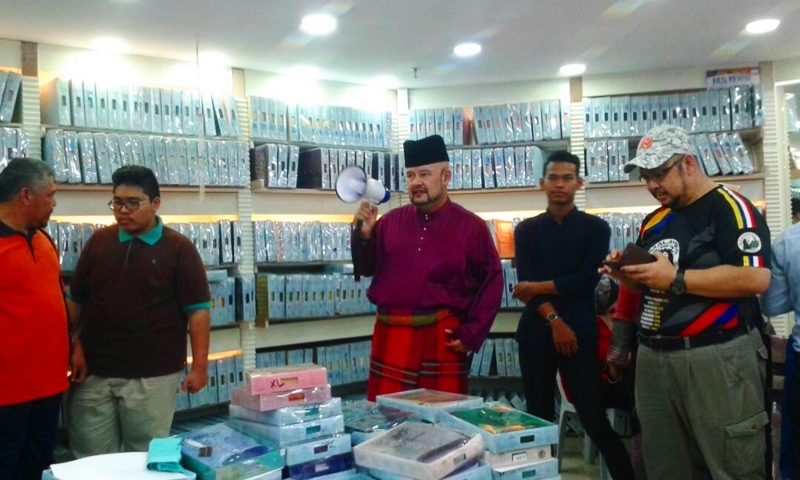 Baju yang ditawarkan kat sini mesti harga best2. Nak nak kalau beli masa Happy Hour. Banyak pilihan. Saya beli kain pun kat Jakel. Senang. Harga pun berpatutan. Nak mahal ada, nak murah ada. Pilih ajer.